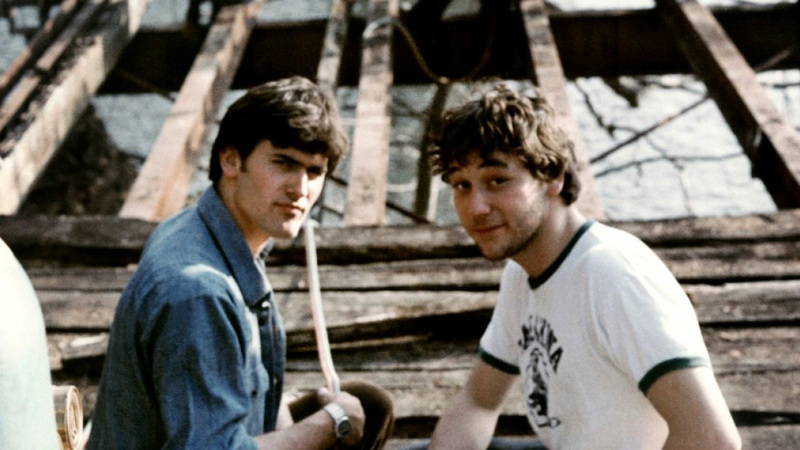 By David Konow on April 18, 2013 at 10:30 a.m.
Sam Raimi had to struggle to get the $90,000 he needed to produce the original Evil Dead. But his budget restrictions forced him to be inventive while on set, giving the horror classic its unique look. The remake of Sam Raimi's Evil Dead came out earlier this month to a big opening weekend at the box office and surprisingly good reviews. The box office pundits were also surprised that this new Evil Dead outgrossed the 3D conversion of Jurassic Park, and considering the Fede Alvarez-directed horror movie cost a reported $17 million, it should definitely make a nice profit. Watching behind the scenes footage from the new Evil Dead, which was shot in New Zealand instead of the backwoods of Tennessee, I saw a segment being shot with a jib crane that can smoothly elevate the camera high and low. Even with a relatively small budget (by Hollywood standards) Alvarez is making use of camera technology that Sam Raimi never had access to over twenty years ago, and you could only imagine what Raimi could have done with such a great, and expensive, piece of equipment. Then again, if Raimi had too much money at his disposal, the original Evil Dead wouldn’t have been anywhere near as innovative or fun. 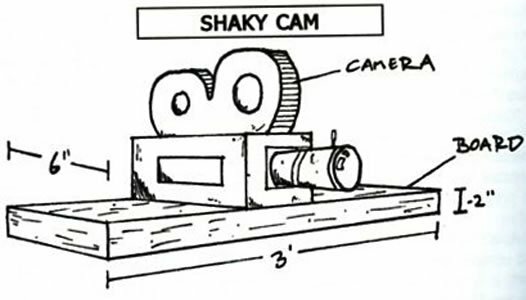 This is especially true with the camera work, where Raimi created the “shaky cam” a low budget rebuke to the Steadicam, which he couldn’t afford to use on Dead. To create the effect, the camera was bolted to a 2x4 piece of wood, and while shooting at eighteen frames a second, two people held on to each end of the plank and ran through the woods with it. When it came time to run through the house with the shaky cam, one cameraman would creep to the center, then the second guy would let go and let the main operator with the camera run with it. 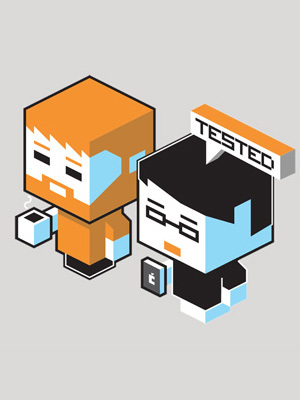 As Dead producer Rob Tapert recalls, “We did a lot of tests with it, and we were actually very pleased with how it turned out. We never considered the shakiness a problem, we thought it showed the energy of the force behind it.” And indeed, it gives the evil force flying through the woods the feel of an airplane taking off, or the velocity of a rollercoaster, an effect that would have been smoothed out with a Steadicam. Sam Raimi introduced a few other tricks to born from his budget contraints that gave Evil Dead its unique look. 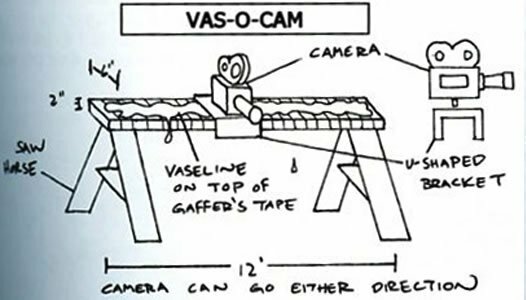 Other Evil Dead camera tricks included the “ram-o-cam” where a T-bar would smash glass before a camera would go through it, and for the swamp scenes, Raimi would be pushed along in a raft with a camera strapped to his arm, lifting it in the air whenever anything got in his path. David Konow is a southern California-based writer with a passion for the schlocky films of Hollywood past. His book, Reel Terror, chronicles the history and impact of horror movies.